On Thursday August 24, Dr. Mike Barry, Vice-President of the CAR met with senior officials in Ottawa regarding the proposed changes to tax structures for Canadian-controlled private corporations (CCPCs) – changes which will impact many CAR members and other physicians across Canada. 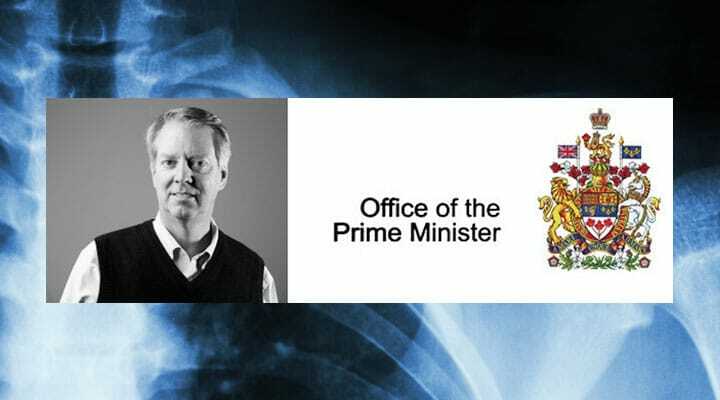 Representing incorporated radiologists, Dr. Barry met with policymakers at the Canada Revenue Agency, senior Conservative party policy officials at the Office of the Loyal Opposition and with Mr. Justin To, Deputy Director of Policy at the Prime Minister’s Office. Dr. Mike Barry met with Deputy Director of Poilicy at the Prime Minster’s Office to discuss proposed tax changes. Using our toolkit, CAR member Dr. Amie Padilla-Thornton had a very successful meeting with her MP Pamela Goldsmith-Jones (West Vancouver, BC), who indicated that she had received over 40 letters about this issue. As a result of the meeting, Goldsmith-Jones is going to submit a briefing to Minister Morneau’s office detailing the effect that the changes will have in her riding. In every instance, Dr. Barry emphasized the detrimental effect that the proposed changes will have on the ability of radiologists to deliver optimal patient care and to serve their communities, not to mention invest in their businesses, save for retirement, and independently fund their benefits. Prior to the September meeting of the CAR Board of Directors, CAR President Dr. Emil Lee will be meeting with Mr. Elliot Hughes, Deputy Director of the Office of the Minister of Finance. Other upcoming meetings include Dr. Magalie Dubé meeting with her MP Mr. Greg Fergus (Hull-Aylmer QC) the week of September 11. Each time the CAR meets with senior government officials or Members of Parliament, we are strengthening our position and increasing pressure on the Government to reconsider the negative impact that these changes will have on Canadian patients, physicians, and the economy. The CAR joined 35 organizations from across the country in forming the Coalition for Small Business Tax Fairness. It is a diverse group of organizations representing all manner of small business interests across Canada to oppose the federal government’s proposals that would dramatically change the way incorporated small businesses are taxed. A letter was presented to Finance Minister Bill Morneau on behalf of the coalition on August 30. Moreover, the CAR continues to stand united with the Canadian Medical Association and other physician groups in opposing these changes from the perspective of maintaining access to quality and sustainable healthcare. The CAR will continue to work on behalf of our incorporated members on this crucial issue and will keep you updated on our activities. If you have met your MP, or plan on doing so, we’d love to hear from you; email us at advocacy@car.ca.